Alia Bhatt In Monse Maison On Coffee With Karan: Yay Or Nay? 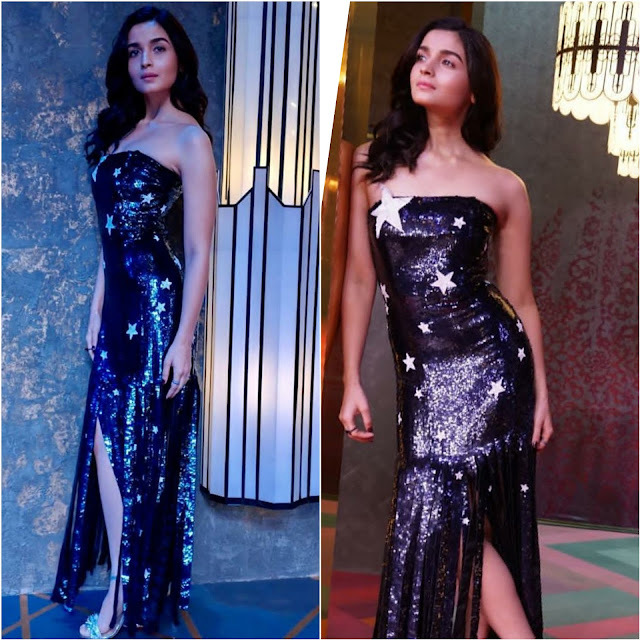 Alia recently taped for an episode of the talk show ‘Coffee With Karan’ wearing a Monse Maison strapless gown. A pair of ankle-strap high heels was all that it took to finish out the look for her. Though a bit overdone for a talk show but there was no denying the actor wore her look well! Raveena Tandon In Anita Dongre Separates: Yay Or Nay? Taapsee Pannu In An Urvashi Joneja Dress: Yay Or Nay? Reginaa Cassandraa In Urvashi Joneja: Yay Or Nay? So pretty! The star pattern adds a lovely whimsical touch.